One of my favorite things about living in Korea has been the plethora of festivals available on a weekly basis. In fact, many festivals land on the same weekend, like the amazing Andong Mask Festival and the unbearably overcrowded International Fireworks Festival. The entrance is subtle, yet stunning. 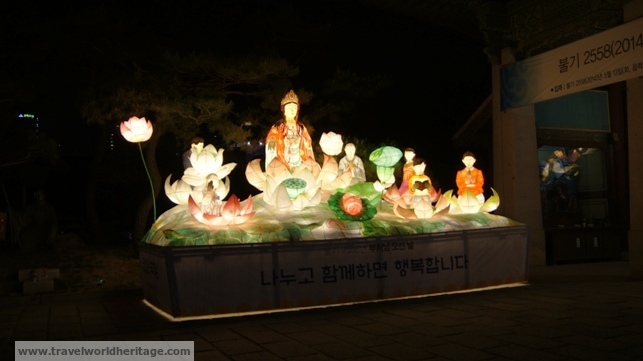 From April 25th-May 11th, Korea celebrated Buddha’s 2556 th birthday with its annual lantern festivities. 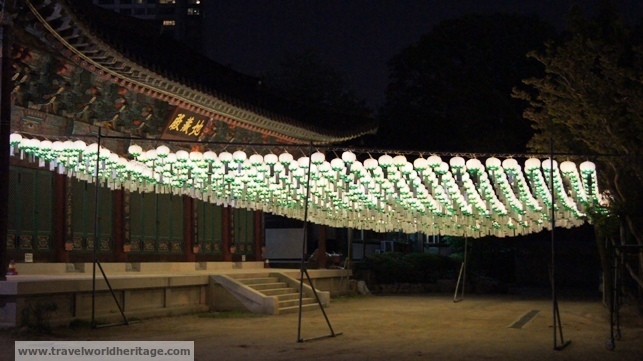 Many places around Seoul and the rest of the country were decorated with amazing lanterns for the event. 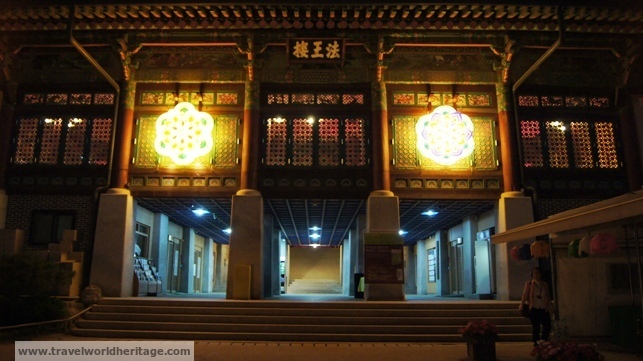 Bongeunsa is one of Korea’s oldest, largest, and most important temples. They seem to go all out for the event. 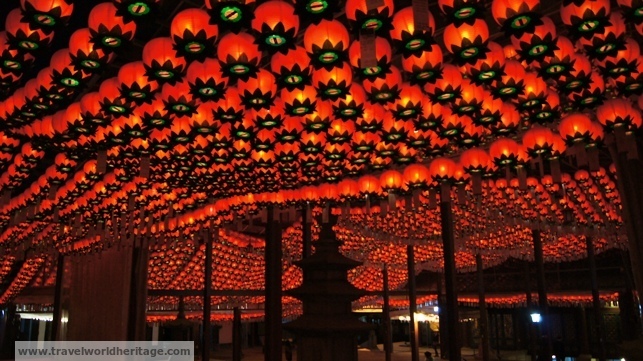 In front of the main hall of the temple is this incredible roof of lanterns. 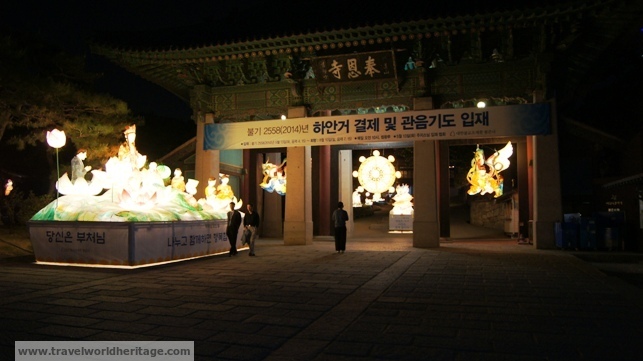 Closing time is normally pretty late in Bongeunsa, but the lanterns are shut down around 9PM. Even the president has her own personal lantern in front of the temple. 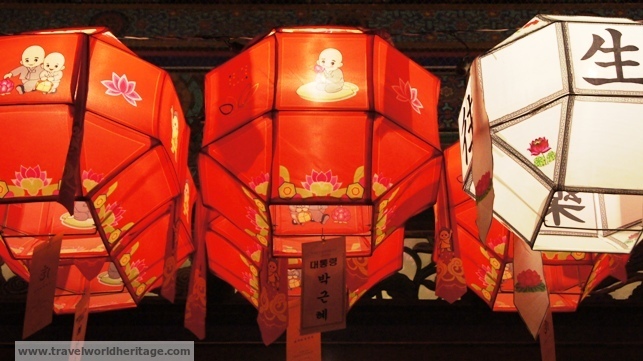 Did you miss the lantern festival this year? Not to worry! The lanterns make an appearance twice a year! They will be back late September – early October. 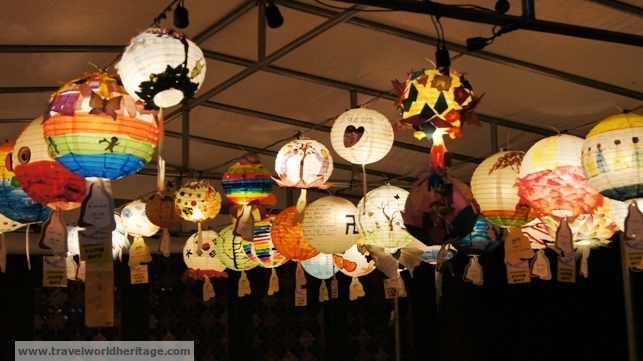 The lantern festival in Jinju is said to be the king of them all, so make sure to check it out. 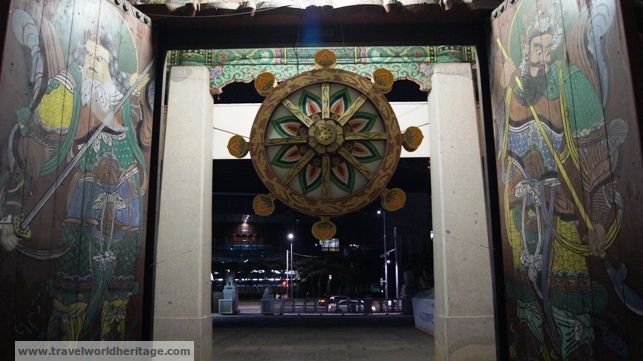 Here are some more pictures from Bongeunsa. 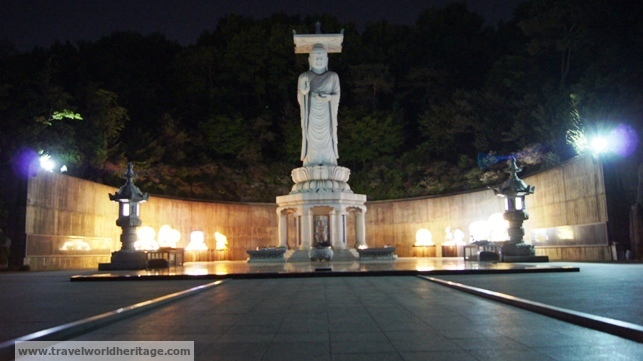 The main Buddha in Bongeunsa which towers over the rest of the temple is surrounded by some incredible lanterns. A lot of the other lanterns are donations from regular people. Even with the lights off, some lanterns look beautiful. For last year’s recount of the event, check out that post, and the videos from the parade including a firebreathing dragon. Wonderful pictures. This place and these lanterns remind me a lot of Beijing at night!! Thanks, I just love lanterns. I gotta check out the ones in Beijing some time.